Most children love to do crafts and it’s a fun way to teach them new things. 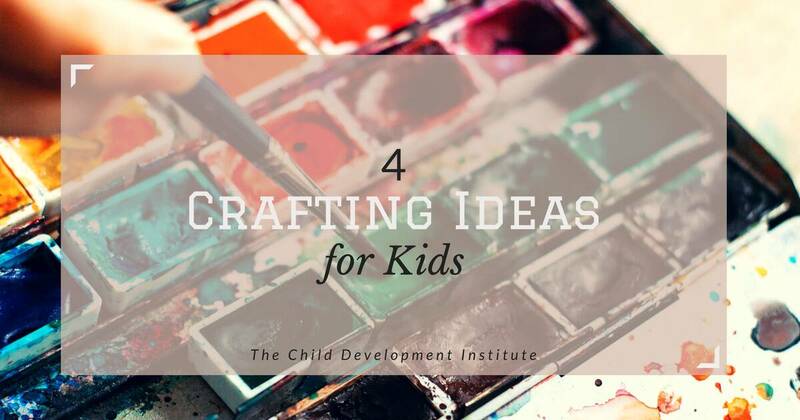 There are endless possibilities when it comes to crafting with kids. Gather up some supplies and try some of these ideas! 1. Start collecting objects that can be reused. Small baby food containers, empty toilet rolls, twist ties from bread bags, small cardboard boxes, and old birthday cards are great raw materials for crafting. Throw in some markers, glue, scissors, and heavy card stock and let your child’s imagination flow. 2. Make a volcano from clay or play dough. Volcanoes are a good gateway to creating art out of dough because they’re a pretty simple shape and easy to pull off. You can squish the play dough back into a mass when you’re done and make something else or let the volcano dry. From there, encourage your kids to make anything they feel like. 3. Scrapbooking is a fun activity for kids and can be really simple. Find some items from an event like their birthday party that they can add to their scrapbook, like the confetti, cards they received, and a balloon. Use these objects to decorate the scrapbook page and include pictures from their party. Show them how to journal to help them record their thoughts and memories. 4. Put together a box with different types of crafts they can use. Include paper, markers, crayons, paints, glues, tape, wood sticks, and other items. Back to school sales are a great time to stock up on some of these supplies. Allowing your kids to create with crafts gives them an outlet for the creativity that we want to bloom inside of them. Make sure you marvel at their creations, and display their art throughout the house!